Do-it-yourself decorating allows you to customize your home, apartment, condo, or room with DIY accents that transform your space on a budget without completing a full-scale remodel. Try out a project or two, get your hands dirty, and fall back in love with your space. Need to neatly stack away some paper on your desk? 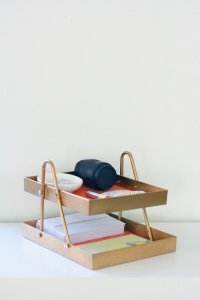 Create a simple tiered desk organizer from the most unlikely of items: picture frames, a plastic hanger and a couple of felt tip screws! It’s simple to make and won’t take you longer than 45 minutes to complete. 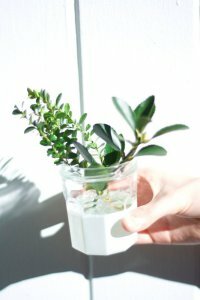 Sweet and simple: make these minimal bud vases with reused glass jars and spray paint. It will cost you close to nothing and all you will need to make it are a couple of mix-and-matched clean and sticker-free jars, masking tape and any spray paint. Fill them with plants and enjoy in your home! 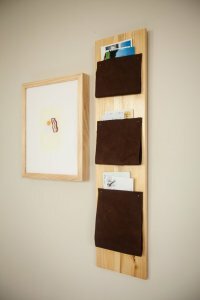 This DIY wood and leather mail organizer takes up minimal space and keeps all your clutter contained and handy. Hang it up close to your workstation or in your kitchen and store all of your letters, take-away menu cards, important flyers, etc. All that you’ll need to make one of these are a wooden plank, pieces of leather, a handful of brass nails and 1 hour of your time. 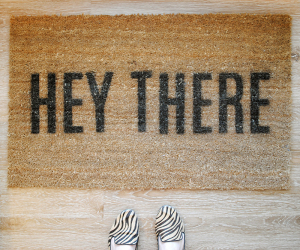 Move over from your regular and boring doormats. 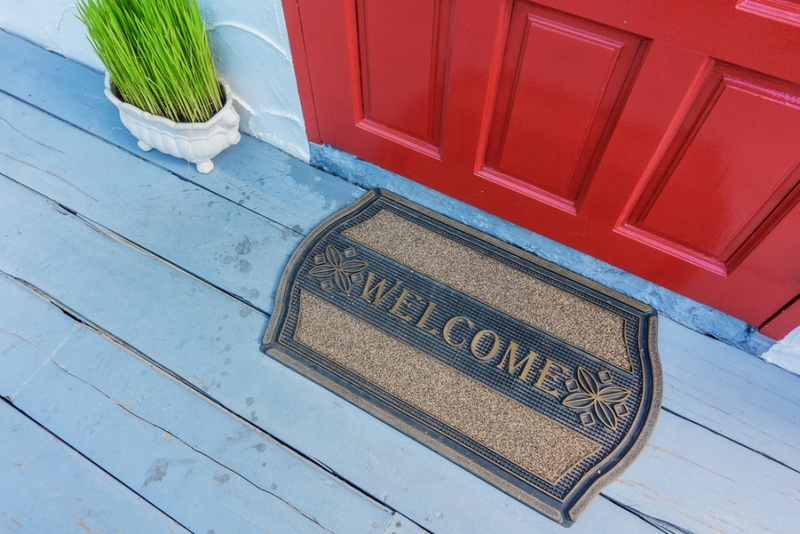 A simple, plain welcome mat is okay, but make a template, grab a can of spray paint and tell guests how you really feel. Leave a message that they’ll probably think of later and smile. Spread some cheer! What to do with a worn-out sweater? 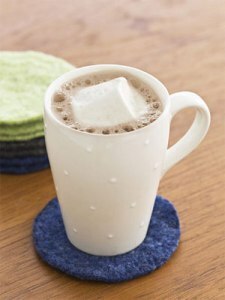 This simple craft turns your tattered cardigans, shrunken V-necks, or the kids’ castoffs into cool coasters. Wash 100 percent wool in hot water and then dry with an agitator like jeans. After three rounds, sweaters should feel taut and felt-like. Use a pencil and a large-mouthed glass to trace circles onto the fabric, then snip out a set. Do you have any cool DIY tips on Home Décor to share?